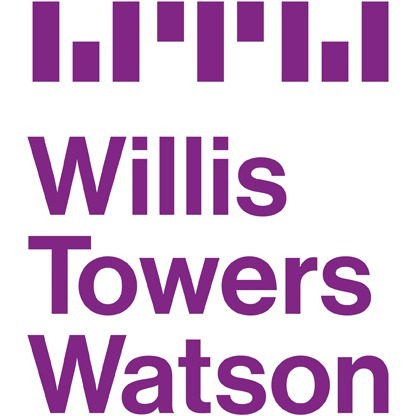 Global insurance and reinsurance broker Willis Towers Watson (WTW) recorded revenue growth of 3% for the fourth-quarter and 5% for the full-year of 2018, driven in part by solid organic growth within its Investment, Risk & Reinsurance segment. The broker has reported Q4 net income of $169 million, down from the $245 million recorded a year earlier. For the full-year, WTW reported net income of $775 million, up 36% on the $568 million posted a year earlier. As well as solid revenue growth, WTW reported that organic revenue increased 6% for Q4 and 5% for the full-year 2018. Organic revenue growth was evident across the broker’s operating business segments in both Q4 and 2018, including its Investment, Risk & Reinsurance unit. WTW’s Investment, Risk & Reinsurance segment recorded 8% organic growth for the quarter and 6% for the full-year. At the same time, the unit’s revenue increased to $278 million for Q4 and jumped to $1.6 billion for the full-year. The broker noted that Reinsurance, Investment, Insurance Consulting and Technology, Wholesale, and Max Matthiessen all contributed to the segment’s solid performance in the period, driven mostly by new business and favourable renewals. However, the firm warns that this was somewhat offset by a decline in Underwriting and Capital Management revenue. WTW’s Chief Executive Officer (CEO), John Haley, said: “Our performance this quarter provided an outstanding finish to a strong year. We are very pleased with our progress in 2018. We concluded our integration efforts and delivered on our financial commitments; with strong top line growth, meaningful profitability improvement and robust cash flow growth. Organic growth was strong across WTW’s business segments in Q4 and the for the full-year 2018. Human Capital & Benefits recorded organic growth of 4% for Q4 and 3% for 2018, while the firm’s Corporate Risk & Broking unit posted organic growth of 5% and 4%, respectively. Benefits Delivery & Administration reported organic growth of 8% for the quarter and 9% for the full-year.